Fair Game (2010) is a political thriller based on real-life events of covert CIA operative Valerie Plame's memoir, Fair Game: My Life as a Spy, My Betrayal by the White House. Here's a very good explanation from IMDb for easier understanding about the movie's background. One of the key ingredients in President George W. Bush's campaign to convince the American people of the necessity of invading Iraq and removing Saddam Hussein from power was the sixteen lines in his January 28, 2003 State of the Union address in which he claimed that "the British government has learned that Saddam Hussein recently sought significant quantities of uranium from Africa," presumably to build a nuclear bomb. Though the CIA and the State Department told the White House that this was not good intelligence, by repeating this false statement, Bush was able to push through a vote in Congress to authorize the war in Iraq, warning of "mushroom clouds" over American cities. 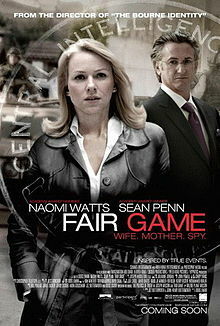 "Fair Game" is about how the identity of CIA agent Valerie Plame (Naomi Watts) was made public after her husband, former diplomat Joseph C. Wilson (Sean Penn) uncovered false information about a nuclear development sale between Iraq and Niger and that the Bush administration had manipulated intelligence about weapons of mass destruction to justify the invasion of Iraq between 2002 until 2004. Scooter Libby and Karl Rove, two prominent men in the White House during the Bush administration were involved in "getting back" at Plame for the truth her husband told the public. What you will see in "Fair Game" are scenes after scenes of the White House, Bush's speech, CIA, war zone in Baghdad, Iraq, and the uranium farm in Niger. This movie even starts off with a footage of the Petronas Twin Towers in KL! 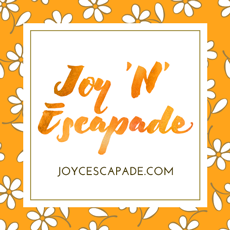 The strongest impression that I get from "Fair Game" is how such a tense and unnerving experience almost ruined the Wilsons' marriage and how this seasoned couple manage to come out from blaming each other and continue work together as a team to expose the truth although their "opponent" is the White House, or rather, certain leading men who abuse their power. Note: Special thanks to Advertlets for the tickets.